And then there were three. 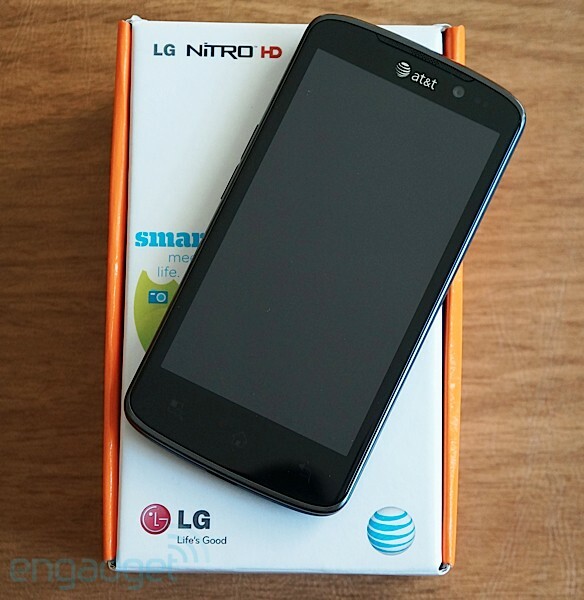 AT&T's lonesome LTE duo -- the Samsung GS II Skyrocket and HTC Vivid -- just gained a new member with the recent launch of LG's Nitro HD. You may recognize this particular handset from its former life as the Optimus LTE, except here the phone's been rebranded with a moniker that more astutely conveys its blazing 4G purpose. There may be tough times ahead for the handset, considering the current crop of high-end devices hogging the spotlight. But if three's company, the Galaxy Nexus, HTC Rezound and Droid RAZR are sure to make this a standing room-only crowd -- an especially haughty bunch given their heavyweight specs. Which is why this sudden end-of-year release for the Nitro HD has us questioning the company's timing. Sure, it's no slouch when stacked up against the competition, with a 4.5-inch 1280 x 720 AH-IPS display, dual-core 1.5GHz Qualcomm APQ8060 processor and 1.3 front-facing / 8 megapixel rear cameras. Yet at $250 on contract, the Nitro HD needs to outshine the legacy set by its best-in-class Sammy stablemate or, at least, offer a performance boost over the cheaper Vivid. So can LG's last second contender rise above the fray to win your holiday dollars? Will it succeed in outclassing its LTE compadres? Or is it a case of too little, too late for this me too three! smartphone. Follow on past the break as we dive into the mobile nitty gritty. 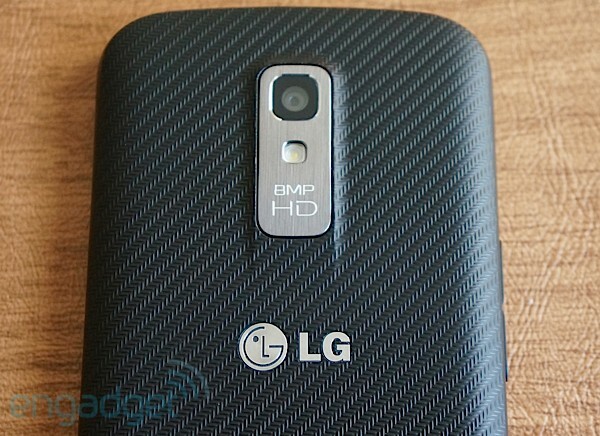 LG's Nitro HD adds more choice for consumers looking to experience 4G LTE on AT&T. It's a solid phone crippled mainly by subpar battery performance. If looks could kill, then this LG phone would put you to sleep. For better or for worse, the Nitro HD's design lacks any striking visual elements. As we noted in our first hands-on with the device, it's characterless; the Jan to the Galaxy S II's Marcia. And that specific allusion isn't just for kicks either -- it appears LG's lifted a page from that category titan's use of textured backing, making this plain jane wannabe as delightfully nimble in the hand (though nowhere near as good looking). Measuring in at 5.27 x 2.67 x 0.41 inches (133.9 x 67.8 x 10.4mm), it's 0.04 inches thicker than its LTE stablemate the Skyrocket and just 0.1 ounces lighter at 4.5 ounces (128 grams). It's not so light as to give off the impression of cheapness and that speaks to the phone's solid build. You won't find any of the squeaks and creaks typically associated with plastic casings, no matter how tightly you clasp it. Despite cutting an unimpressive figure, it actually feels great to hold. Whereas the Titan and Amaze 4G have screens that stick out from their unibody casing and dig into your palm, the Nitro HD's glass surface smoothly tapers into the curved edges, lending itself to a comfortable grip. LG's largely avoided any sharp ends in the phone's construction and the only bit of necessary design roughness you'll encounter comes in the form of its diagonally grooved plastic back, which keeps the ultralight device from sliding out of hand. There seems to be a deliberate absence of extraneous branding mucking up the staid posterior, as any mention of Google or even AT&T's 4G LTE are nowhere to be found. 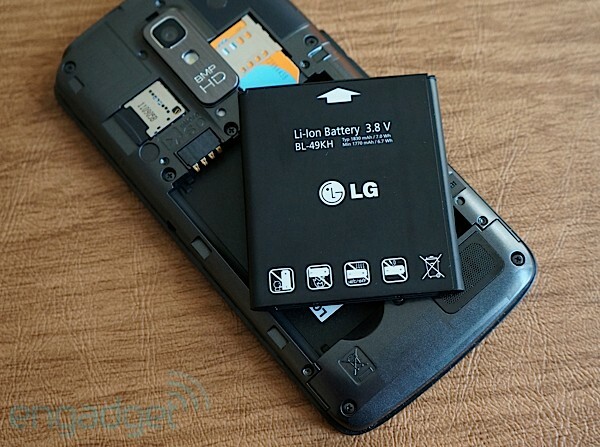 All that breaks up the backside is the device's eight megapixel camera with LED flash ensconced in a rectangular strip of brushed metal, LG's winking logo directly beneath it and two small slits on the lower right which house the speaker. Pop this casing off and you'll come face to face with both a 16GB microSD (complemented by 4GB of internal storage) and SIM card accessible without having to remove the 1,830mAh battery powering this juice-sucking device. The Nitro HD's entire right side remains unblemished by ports or dedicated keys, leaving the majority of functional flourishes to reside up top. There you'll find an MHL port (concealed by a flimsy door) that supports micro-USB and HDMI (via an optional adapter), as well as a secondary mic centered between the 3.5mm headphone jack and power button. Over on the left of the device, the volume rocker lies just slightly askew of the middle with the main mic hidden in a notch at the phone's base. It's here at the bottom of the screen that you'll notice LG's unique capacitive layout for Android, a soft button schema that shrinks the usual array down from four to three, conjoining both menu and search into one shortcut. A simple tap on this combined icon will trigger menu settings, while a long press activates search functionality. As is the case with most AT&T phones, the carrier's logo shines out prominently from atop the screen, sharing the excess of bezel with the phone's 1.3 megapixel front-facing camera and the earpiece above. So far, so average, but all of this underwhelming design takes a drastic turn towards remarkable once this 4.5-incher comes to life. LG's chosen to outfit the Nitro HD with a 1280 x 720 AH-IPS panel boasting 329ppi that bests Apple's Retina display... and it shows. The screen is simply gorgeous, rendering fonts and icons with a smooth distinction you'll likely take for granted. Colors are vibrant and accurate, sidestepping the over-saturated pizazz typical of rival Super AMOLED tech for a more restrained performance. True, the blacks aren't as deep as what you'd find on a Galaxy S device and you will have to pump up the brightness considerably for readability out in bright sunlight, but make no mistake, this is a top-notch screen with excellent viewing angles. The only glaring flaw is the hit or miss touch sensitivity. In certain instances, it took us more than a few hard taps to jolt the screen into responsiveness. AT&T's three LTE mobile amigos not only have a 700MHz radio in common, they all boast an identical processor -- Qualcomm's dual-core APQ8060, a Snapdragon S3 clocked to 1.5GHz and paired with 1GB RAM. Of the trio, the Vivid is the sole "slowpoke" coming in at a lower 1.2GHz and consistently trailed in our testing. 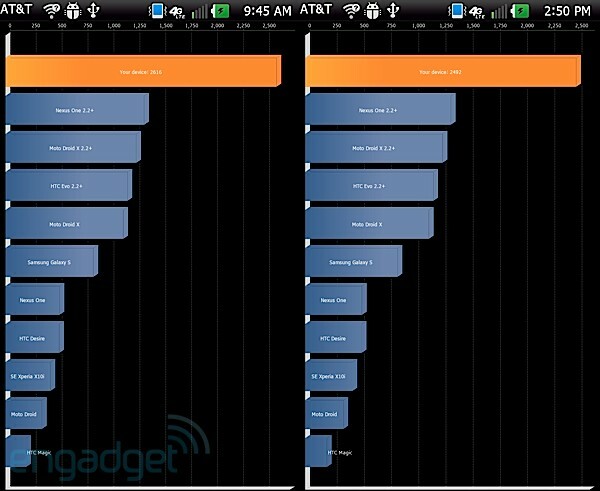 Excluding HTC's underperforming clunker, the Nitro HD notched a narrow victory over the GS II Skyrocket. LG's handset came out on top in Linpack (single and multi-thread), Vellamo, Neocore and Sunspider 9.1, while Sammy's LTE redux claimed top marks in Quadrant and Nenamark (1 and 2). For all its performance might, the Nitro HD should be the phone to garner your LTE affections, but a glimpse into its greedy power consumption might give you pause. After running our formal battery rundown test, the handset gave in at the four-and-a-half-hour mark -- an exceptionally unacceptable result given its 1,830mAh battery and the equally priced Skyrocket's nine and a half hours. In real-world usage, we managed to bump this paltry charge to a more serviceable seven hours -- that's with Twitter syncing at 15 minute intervals, one push email account, brightness set to 50 percent, as well as GPS and WiFi enabled. We should also note that the Nitro HD fluctuated between LTE and HSPA+ in our time testing it around New York City, so LTE is partly to blame for that excessive battery drain. 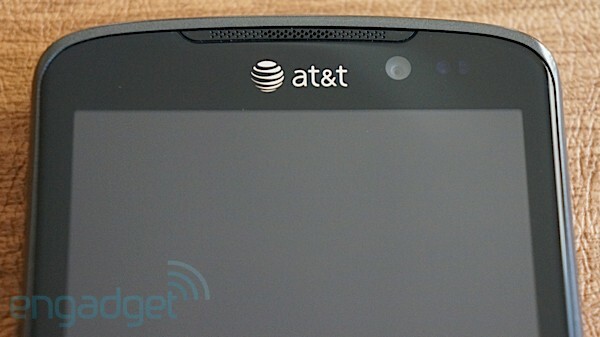 When LG launched the Nitro HD, we were surprised to see AT&T's 4G LTE icon appear in the notification bar. 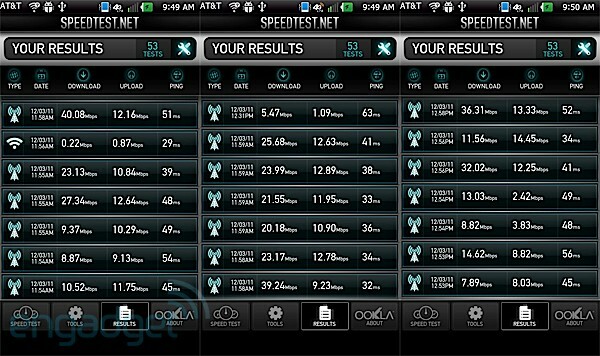 At the time, we immediately ran a few speedtests to get a sense of the network's preliminary performance. The end result was a max of 13.81Mbps down, a number more in line with its HSPA+ 21 radio and nothing like the numbers we'd previously seen in Boston. Subsequent testing around Manhattan not only showed an available (if scattered signal), but also delivered the kind of mind-boggling speeds we enjoyed on the Vivid. Signal strength varied from neighborhood to neighborhood, switching from LTE to HSPA+. Speeds topped out at 40.08Mbps down and 14.45Mbps up, averaging between 18Mbps to 33Mbps down and 9Mbps to 13Mbps up. We can't guarantee that you'll necessarily experience this same performance should you purchase either the Nitro HD or one of the carrier's other 700MHz capable phones, as increased adoption of the service will inevitably give way to network congestion. Still, if you decide to take the plunge, enjoy the robust radio waves while you can. Of course, AT&T's readily available HSPA+ network is a more than adequate default for your everyday data demands and, as evinced by the results above, should regularly deliver speeds between 7Mbps to 14Mbps down and 1Mbps to 10Mbps up in New York City. You won't find much fault with the Nitro HD's eight megapixel rear camera. The module, aided by an LED flash, is fantastic at capturing imagery when drenched in a healthy amount of natural light, demonstrating sharp contrast and an extended depth of field. Similarly, when zooming in on an object, the camera was able to maintain an integrity of detail that only faltered when lighting conditions were less than optimal. We struggled a bit with the sensor's auto-focus and found a manual tap-to-adjust was often necessary, but again, most of our gripes took place in dimly-lit environs. LG's native camera software allows for the standard selection of scene and shot modes, ranging from normal to landscape to panorama, though macro is curiously missing. We were surprised to see colors reproduced with an inherent muteness, even ones taken in strong sunlight. It's primarily the camera's nighttime performance that reveals its underlying weakness. In all circumstances where we lacked an exterior source of light, the Nitro HD's camera failed to accurately focus, forcing us to snap a handful of shots where one would normally do. LG's LTE darling won't be replacing your need for a DSLR anytime soon, but as a point-and-shoot substitute, it should more than suffice. Still shots taken with the camera may yield uneven results, but, thankfully, the same cannot be said for video capture. The Nitro HD is capable of full 1080p, recording scenes in exceptionally crisp detail without a loss in frame rate. Audio recording also held up remarkably well, surrounded as we were by noisy city traffic. The Nitro HD zips along mostly free of the kind of memory-intensive skins included on other Android phones (we're looking at you, Sense). Navigation through the homescreens feels fluid as the phone is devoid of any fancy 3D animations. LG's UX is relatively unfussy and allows for a deep level of user customization, such as the ability to change the font, select a background color for widgets and optimize the resolution of market apps. 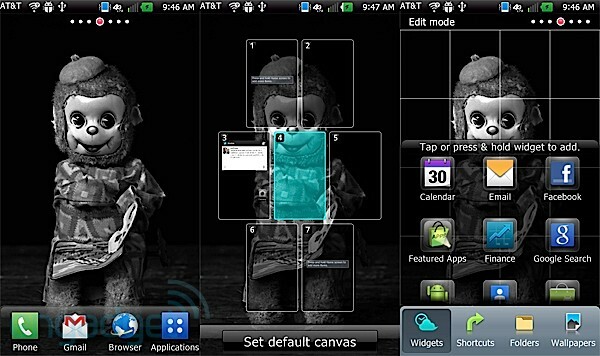 Long pressing on any of the seven homescreens brings up a gridded overlay and menu options for widgets, shortcuts, folders and wallpapers. If you're not keen on the multitude of homescreens pre-set, you can easily remedy that by deleting them. An occasional delay is evident when accessing the app drawer, but thankfully that performance hiccup ends there, as applications launch with a delightful immediacy. You're probably bracing yourself for the inevitable and wondering just how much bloat both AT&T and LG shoveled onto the Nitro HD. Well, you can breathe a sigh of relief. Not only does the device come pre-loaded with a scant amount of crapware, but it's also uninstallable -- a commendable feature that should prove to be a major selling point for many Android users. 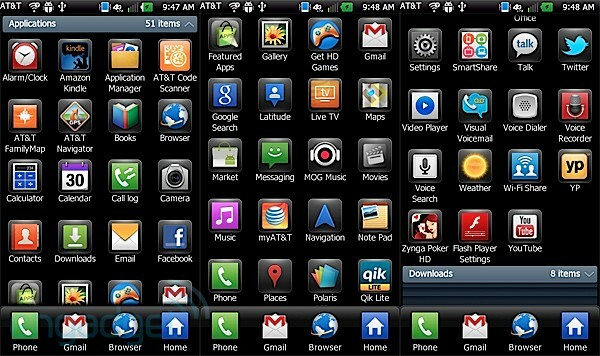 So, carrier-branded apps like AT&T Code Scanner, FamilyMap, Live TV and Navigator, in addition to Amazon Kindle and MOG Music can be quickly out of sight and out of mind (also, memory) should an uncluttered app drawer tickle your fancy. There's also a separate division for downloaded applications and the ability to pinch to close or open both folders. Now for the bad news: LG's decided to bake Carrier IQ into the handset, as we noted in our hands-on. So, fans of privacy should direct their attention and dollars elsewhere for now, or at least until the company provides users with a way to disable the software. LG's opted to run the Nitro HD on the same old Gingerbread OS we've come to know and love over the past year, so don't expect any major UI tweaks on par with Ice Cream Sandwich's evolution. Speaking of which, LG's keeping mum on plans for a planned software update, saying only to stay tuned for an announcement this month. In the meantime, you'll just have to be content with the skinned version of 2.3.5 that ships out of the box. Browser performance on the device was refreshingly brisk when in reach of LTE, rendering flash-heavy pages in full desktop mode within ten seconds. That brevity takes an understandable hit when the network defaults back to HSPA+, as we've seen load times over 30 seconds. Pinch to zoom exhibits minor jag, but the full site remains onscreen, scaling in and out in step with your gestures. 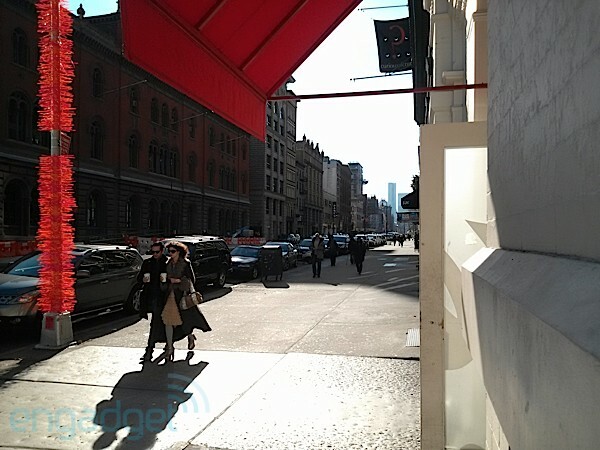 Make no mistake about it: mobile users eager to experience the world from Android's apogee should look no further than the Galaxy Nexus. That Ice Cream Sandwich flagship is, bar none, the best Googlefied smartphone you can buy right now. When stacked side-by-side with the Nitro HD, it's clear Sammy's motherphone is the most deserving of your disposable income. Restrict that playing field down a tier to AT&T's LTE offerings and maybe, just maybe, a compelling argument could be made for LG's featherweight handset. The Nitro HD certainly lords over its competition in benchmarks, weight and the quality of its AH-IPS display, yet in everyday usage still falls short of the zippy Skyrocket. But for all of its spec wins, there's no overlooking the device's greedy power consumption -- a middling seven hour endurance that only the most casual of users wouldn't be affected by. Add to that a $250 two-year on contract price that's identical to the longer-lasting Galaxy S II Skyrocket's and, again, the scales tip in favor of Samsung. Unfortunately, LG's late bloomer falls prey to a heavy case of "Marcia, Marcia, Marcia" envy, and we're sorry to report it's entirely justified.